Yasmina Reza's play Art is 20 years old but this triple hander in which three old friends fall out over a painting remains resonant. The men, Serge, Marc and Yvan have been friends for 25 years but it all starts to go wrong when Serge, played by Nigel Havers, spends £200,000 on a painting which his friends think is rubbish. 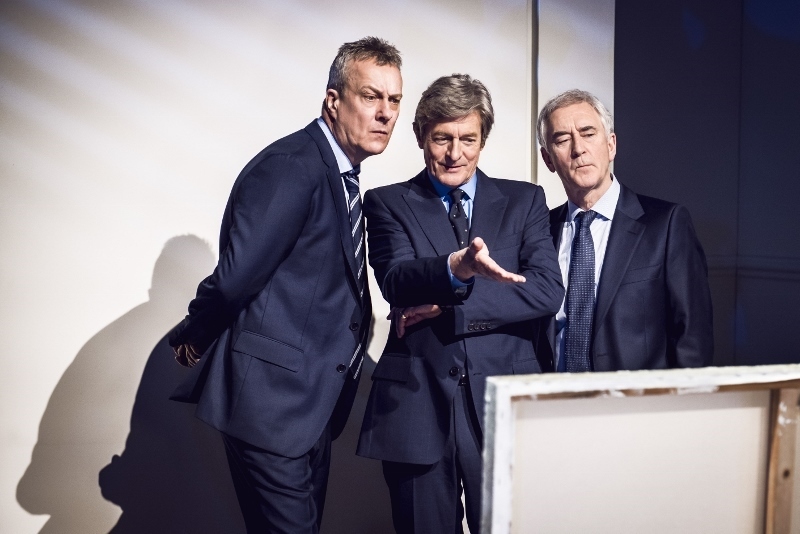 Serge and best friend Marc, played by Denis Lawson, quickly clash over their views of the piece of art and Yvan, played by Stephen Tompkinson is drawn into the argument despite himself. Reza's writing and Christopher Hampton's translation from French into English are razor sharp as the comments are initially funny and become more and more vicious, unravelling their friendship which has been built on pretence and misunderstanding over all the years. 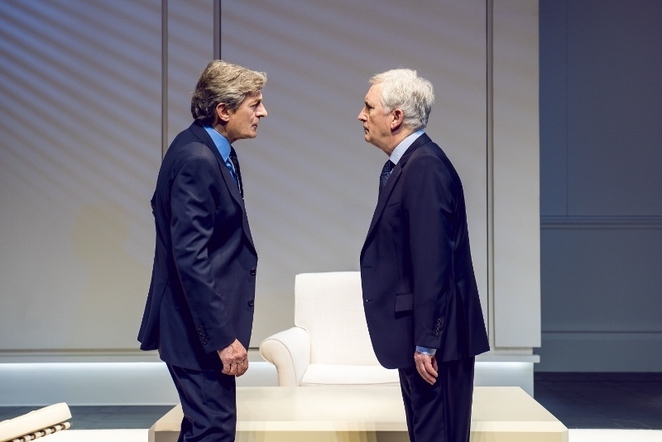 Havers returns to the role of Serge after playing the art lover on the first UK tour two decades ago – and in some ways, he's even better suited to the role now. His expectation that his friends will support his choice is quickly diffused and his cultured veneer slips as he throws barbs at his friends. Lawson's Marc is far from likeable. Where initially our sympathy may lie with him for being honest about the painting, we soon discover that his relationship to the others is firmly rooted in his own sense of self-importance. And it's hard not to feel sympathy for Tompkinson's gawky Yvan. He's reached middle age with no great achievements and just wants his friends to be kind and supportive – but he's chosen the wrong guys for that. Packed into 90 minutes without an interval, there's no let-up in the tension until a surprise ending – which I'll keep up my sleeve. Ellie Jones' direction keeps the pace as the group bandy insults and then share their views with the audience. Mark Thompson's design is simple and as monochrome as the controversial painting. The drama moves from one person's sitting room to another with white walls, table and chairs and the only change being each person's choice of art on their wall. Just as the painting is a talking point so too is the play. What do we build our friendships on, how fragile are those friendships and, once the truth comes in, can a friendship survive it?